It is well established that voters reward incumbent politicians for distributive allocations. However, most of the evidence comes from aggregate measures of changes in the stock of the public goods and does not account for variations in accessibility to public services within administrative units. The objective of this paper is to show that increasing geographic proximity to a new public service increases electoral support for the incumbent party. 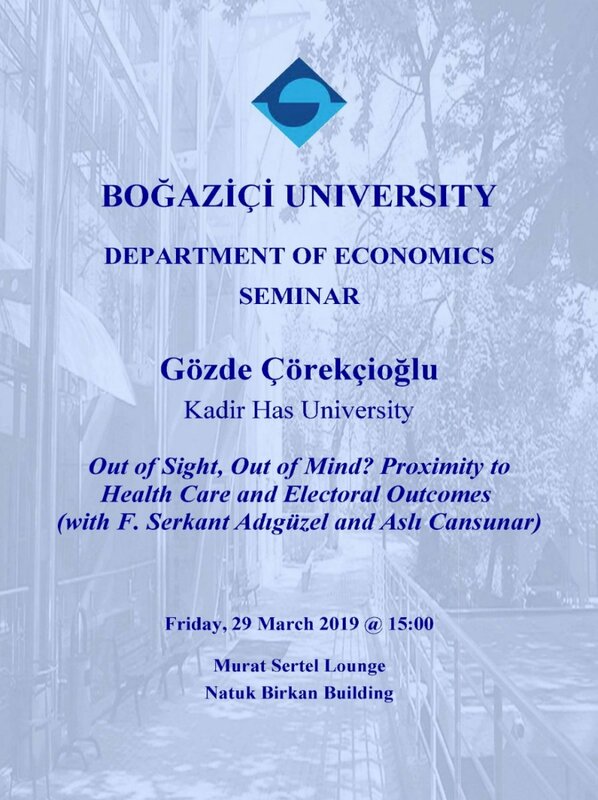 We use the Family Medicine Program reform in Turkey, which gave rise to an exogenous variation in proximity to the local Family Health Centers, to show that voters whose distance to the nearest clinic have decreased are more likely to vote for the incumbent party. We also show that educated voters reward the incumbent when there is an increase in the quality of the service in the nearest Family Health Center, whereas less educated voters reward increasing proximity.